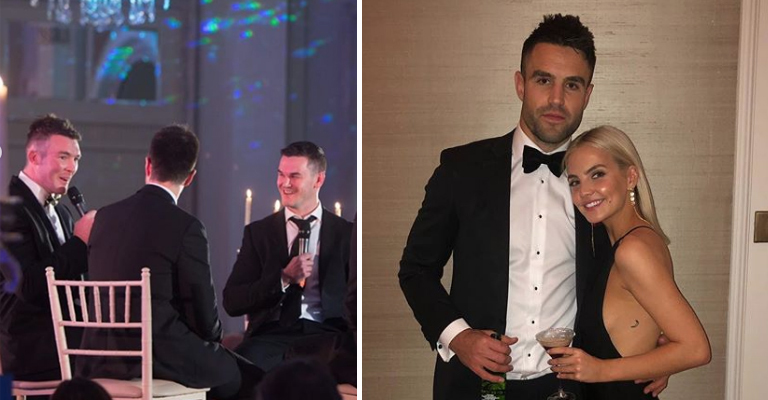 Garryowen RFC rolled out the red carpet for a very special event in honour of Munster, Ireland and Lions scrumhalf Conor Murray at Adare Manor over the weekend to celebrate the Patrickswell mans’s achievements in rugby. The likes of Munster captain Peter O’Mahony, World Player of the Year Johnny Sexton, Keith Earls, Ireland captain Rory Best, Tadhg Furlong, Andrew Conway, Rob Kearney and Keith Wood were all in attendance for the black tie event. Murray admitted he was “humbled” by the tribute on the night and highlighted how big a role his club Garryowen have played in his hugely successful career. “I’ve been privileged in my career to have enjoyed magnificent moments at the highest level, with Ireland, the Lions and, of course, Munster. But none of this would have happened were it not for my club Garryowen. The same applies for all international players; it starts with your club and I can certainly say that I got the best possible start with Garryowen and owe so much to everyone here.” Murray said. 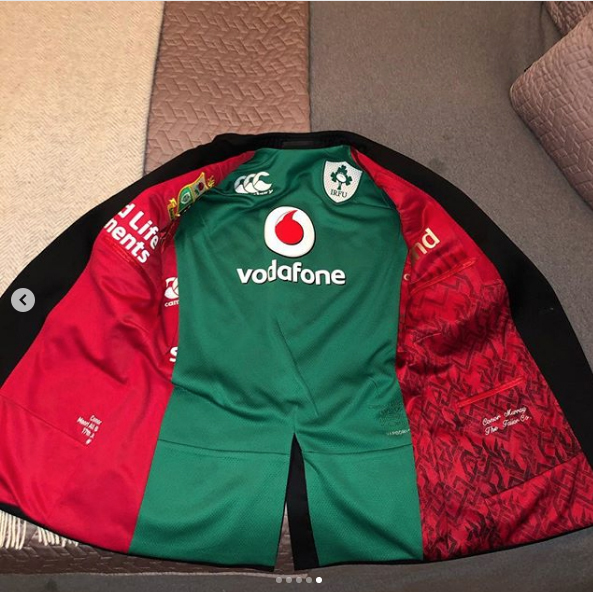 And to celebrate the occasion, Murray had a tux specially designed with and Lions, Ireland and Munster jersey used to make up a very special lining, showing off his incredible achievements as a player.